Lupita Ramirez dresses her husband, Joel, at their home in Rialto, Calif. Joel was paralyzed from the waist down after being crushed by a pallet when he was working in a warehouse. 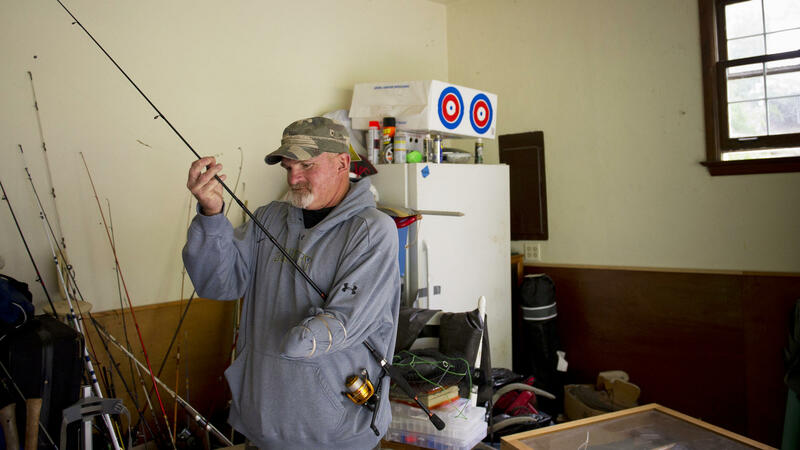 Dennis Whedbee, 52, lost half of his left arm in a drilling accident in North Dakota in September 2012. Several years later he's still fighting with North Dakota's insurance agency to get the help he needs. 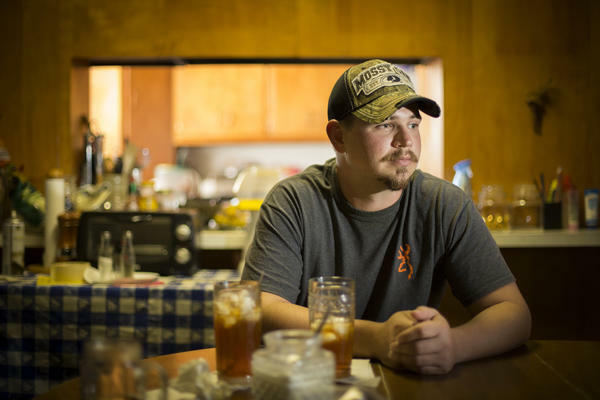 John Coffell sits at his grandmother's table in Hulen, Okla. After he hurt his back at a tire plant last year, his wages dropped so dramatically that he and his family were evicted from their home. Whedbee fishes for trout with his grandson, Mason, in Two Lick Creek in Homer City, Pa. 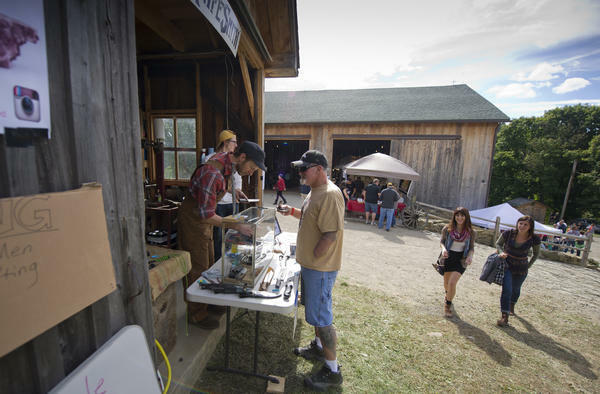 In September, Whedbee went to the Hatch Chile Festival near his new home outside Pittsburgh. He lived in New Mexico before chasing the oil boom to North Dakota. Joel Ramirez is helped onto a bed to receive an ultrasound with the aid of Francisco Guardado, his home health care giver, during a visit to the hospital in Rialto, Calif.
Dennis Whedbee's crew was rushing to prepare an oil well for pumping on the Sweet Grass Woman lease site, a speck of dusty plains rich with crude in Mandaree, N.D. It was getting late that September afternoon in 2012. Whedbee, a 50-year-old derrick hand, was helping another worker remove a pipe fitting on top of the well when it suddenly blew. Oil and sludge pressurized at more than 700 pounds per square inch tore into Whedbee's body, ripping his left arm off just below the elbow. Co-workers jury-rigged a tourniquet from a sweatshirt and a ratchet strap to stanch his bleeding and got his wife on the phone. "Babe," he said, "tell everyone I love them." It was exactly the sort of accident that workers' compensation was designed for. Until recently, America's workers could rely on a compact struck at the dawn of the Industrial Age: They'd give up their right to sue. In exchange, if they were injured on the job, their employers would pay their medical bills and enough of their wages to help them get by while they recovered. Over the past decade, state after state has been dismantling America's workers' comp system with disastrous consequences for many of the hundreds of thousands of people who suffer serious injuries at work each year, a ProPublica and NPR investigation has found. Now, 2 1/2 years after he lost his arm, Whedbee is still fighting with North Dakota's insurance agency for the prosthesis that his doctor says would give him a semblance of his former life. The changes, often passed under the banner of "reform," have been pushed by big businesses and insurance companies on the false premise that costs are out of control. In fact, employers are paying the lowest rates for workers' comp insurance since the 1970s. And in 2013, insurers had their most profitable year in over a decade, bringing in a hefty 18 percent return. All the while, employers have found someone else to foot the bill for workplace accidents: American taxpayers, who shell out tens of billions of dollars a year through Social Security Disability Insurance, Medicare and Medicaid for lost wages and medical costs not covered by workers' comp. ProPublica analyzed reams of insurance industry data, studied arcane state laws and obtained often confidential medical and court records to provide an unprecedented look at the unwinding of workers' comp laws across the country. Since 2003, legislators in 33 states have passed workers' comp laws that reduce benefits or make it more difficult for those with certain injuries and diseases to qualify for them. Florida has cut benefits to its most severely disabled workers by 65 percent since 1994. Where a worker gets hurt matters. Because each state has developed its own system, an amputated arm can literally be worth two or three times as much on one side of a state line as on the other. The maximum compensation for the loss of an eye is $27,280 in Alabama, but $261,525 in Pennsylvania. Many states have not only shrunk the payments to injured workers; they've also cut them off after an arbitrary time limit — even if workers haven't recovered. After John Coffell hurt his back at an Oklahoma tire plant last year, his wages dropped so dramatically that he and his family were evicted from their home. Employers and insurers increasingly control medical decisions, such as whether an injured worker needs surgery. In 37 states, workers can't pick their own doctor or are restricted to a list provided by their employers. In California, insurers can now reopen old cases and deny medical care based on the opinions of doctors who never see the patient and don't even have to be licensed in the state. 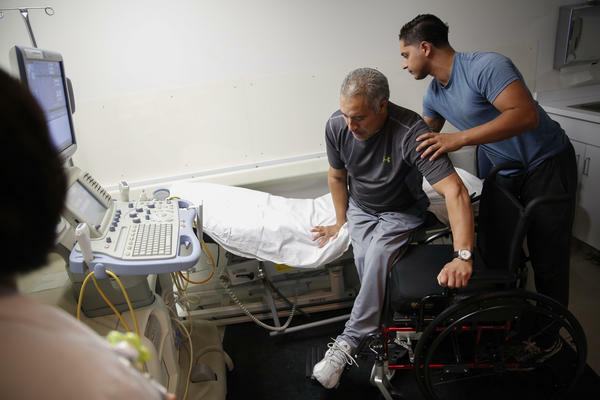 Joel Ramirez, who was paralyzed in a warehouse accident, had his home health aide taken away, leaving him to sit in his own feces for up to eight hours. The scope of the changes, and the extent to which taxpayers are paying the costs of workplace accidents, have attracted almost no national attention, in part because the federal government stopped monitoring state workers' comp laws more than a decade ago. The cuts have gone so deep in some states that judges who hear workers' comp cases, top defense attorneys for companies and even the father of the modern workers' comp system say they are inhumane. Presented with ProPublica and NPR's findings, Sen. Bob Casey, D-Pa., one of the leading worker advocates in Congress, said the changes undermine the basic protections for injured workers. The rollback "would be bad if it were happening in one state," he said. "But the fact that a number of states have moved in this direction is disturbing and it should be unacceptable to people in both political parties." "They call them reforms," Casey added. "That's a real insult to workers." Legislators who pushed through cuts in their states, however, insist they are necessary to keep and attract business. "That was always the No. 1 issue," said state Sen. Brian Bingman, the Republican president pro tem of the Oklahoma Senate. "Your workers' comp rates are way too high." The state's 2013 reform law provided tremendous cost savings, he said, and its supporters proudly acknowledge it was written primarily by a young lawyer at a drilling company and a lobbyist for the state chamber of commerce. While the vast majority of injured workers need only minor medical care and experience little friction in getting it, the changes often affect those who need the system the most. After Whedbee lost his arm, his doctor said he'd be an ideal candidate for a modern prosthesis with a movable hand. But North Dakota's workers' comp insurer sent him to another doctor — not in North Dakota or his home state of Pennsylvania but in Minnesota. After seeing him once, that doctor recommended a cheaper prosthesis with a metal hook. "I lost a hand," Whedbee pleaded with the insurer to no avail. "I didn't lose a hook." Workers' comp was born in the early 1900s as a "grand bargain" forged by business and labor as awareness grew about the grisly workplace accidents that came with industrialization. "As the work is done for the employer, and therefore ultimately for the public," President Theodore Roosevelt said in 1907, "it is a bitter injustice that it should be the wage-worker himself and his wife and children who bear the whole penalty." In return for a measure of a security, workers gave up their right to sue their employers — even in cases of gross negligence — protecting businesses from lawsuit judgments that could bankrupt them. By 1920, nearly every state had enacted workers' comp laws. The systems differed in their particulars but aimed to answer the same questions: Is an injury work-related? What's the appropriate medical care? How much compensation should injured workers receive and for how long? Each decision affected employers' costs as well as workers' solvency and well-being. The first national assessment of workers' comp protections came in the early 1970s when Congress established a commission to study state laws as part of the Occupational Safety and Health Act. Convened by President Richard Nixon and led by John Burton, a Republican economist and law professor, the commission unanimously concluded that state laws were "inadequate and inequitable." The commission made dozens of recommendations that laid the foundation for modern workers' comp systems: Nearly every employee should be covered. Workers should be able to pick their own doctors. If employees couldn't work, they should get two-thirds of their wages up to at least the state's average wage. Compensation should last as long as the person is disabled, with no arbitrary caps. Spouses should receive death benefits until they remarry, children until they graduate from college. In 1972, the commission advised Congress to mandate 19 of these recommendations as minimum federal standards if states didn't enact the provisions on their own. States quickly did. But over time the political winds shifted. A wave of cutbacks began in the 1990s, swelled in the mid-2000s and, after slowing during the recession, picked up again. The U.S. Labor Department used to keep track of how states complied with the presidential commission's recommendations, but it stopped after budget cuts in 2004. A ProPublica analysis of state laws done in consultation with Burton found that only seven states now follow at least 15 of the recommendations made during the Nixon administration. Four states comply with fewer than half of them. The recent changes are "unprecedented in the history of workers' comp," Burton said in an interview. "I think we're in a pretty vicious period right now of racing to the bottom." Sitting at a table on the 10th floor of a Tulsa, Okla., office building, Mark Schell, senior vice president and general counsel of the Unit Corp. drilling company, argued that Oklahoma's old workers' comp system was bad for employers and workers alike. Lawyers had clogged the workers' comp courts while doctors approved costly, unnecessary medical care. Oklahoma cut benefits three times between 2005 and 2011, resulting in a 10 percent drop in employers' insurance rates. But other states experienced even steeper drops in costs, leaving Oklahoma comparatively expensive, he said, especially against neighbors like Texas and Arkansas. So, in 2012 and 2013, the state chamber of commerce and a group led by retailer Hobby Lobby and Unit Corp. spearheaded an effort to rebuild the workers' comp system from scratch. "I'm proud of what we did," Schell said. Nodding to his firm's associate general counsel, Drew Harding, across the table, he noted, "Drew was one of the main authors of the bill." 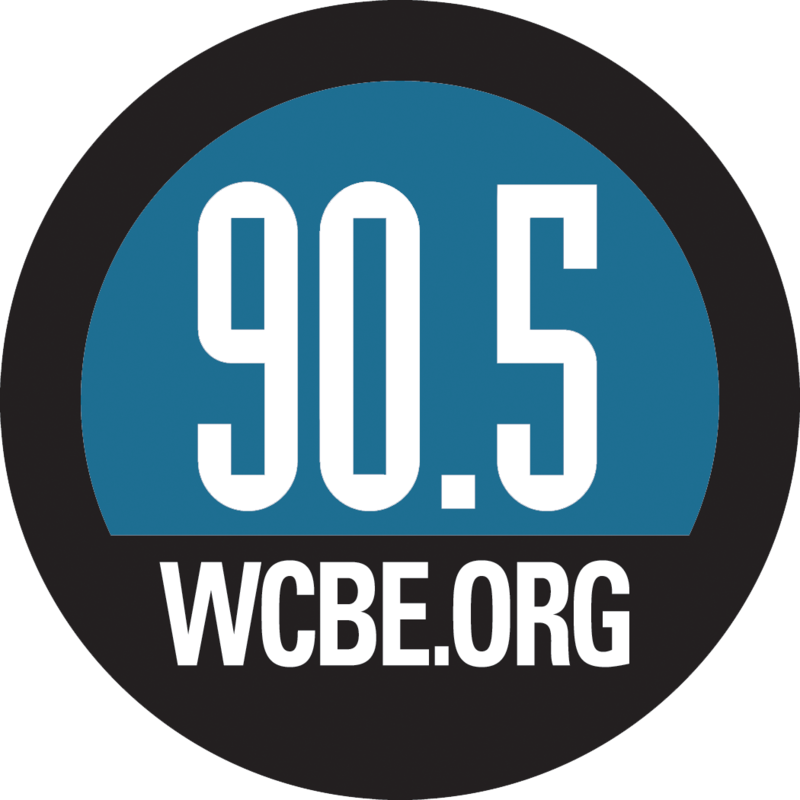 Buried among a number of changes, from altering how disputes are heard to letting employers opt out of workers' comp entirely, the reform cut the maximum wage-replacement benefits for injured workers from $801 a week to $561 a week. The new rate was the third-lowest in the country. The chamber's lobbyist, Jonathan Buxton, rationalized the cuts as tough love for Oklahoma workers. "Getting them healed and back to work is the goal of our system, and it's better incentivized now," he said. ProPublica's review of workers' comp changes nationwide found that many were steered by Big Business, aided by the recent Republican takeovers of state legislatures. While rising medical expenses have long concerned insurers, the reforms were mostly driven by the recessions of 2001 and 2007-2009, which pitted states in a seemingly endless competition to lure business with lower costs. Even in states dominated by Democrats, worker advocates have been forced to make major concessions to achieve slight increases in benefits — sometimes just to keep up with inflation. Florida, New York and Tennessee have chopped compensation for workers with permanent partial disabilities, such as debilitating back injuries, by at least 20 percent. In California, West Virginia, North Dakota and Oklahoma, lawmakers have placed time limits on wages for temporarily disabled workers, limiting such benefits to two years even for those who can't go back to work or need more medical care. Few of the cuts were driven by concerns about fraud, which is estimated to account for only a small percentage of the $60 billion spent on workers' comp each year. And studies show most of the money lost to fraud results not from workers making false claims but from employers misclassifying workers and underreporting payroll to get cheaper insurance rates. Recently, some judges have questioned whether states have cut too deeply in the name of saving employers money. In August, a Florida circuit court judge ruled that the state's workers' comp law was unconstitutional, saying benefits had been "decimated" and the law "fails miserably" as to safety, health, welfare and morals. If the ruling is upheld, workers in Florida would be able to sue their employers, and the Legislature would have to rewrite the law. But in many states, few people — even the lawmakers who sponsored bills paring back benefits — seem to fully understand the bills' impact on workers. Before his injury, John Coffell, 30, was solidly part of the nation's blue-collar rank and file. He made $17.42 an hour as a tread booker at a Goodyear Tire & Rubber plant in Lawton, Okla. With overtime and bonuses, he was earning close to $1,000 a week. It still wasn't easy for a family with three kids, but he and his wife were managing. Then, on a graveyard shift last July, Coffell was winding long strips of rubber compound onto heavy metal spools and loading them onto a truck when he felt a pinch and burning sensation in his lower back. "As time went on throughout the night, it got worse and worse and worse," he said. "It hurt when I walked. It hurt when I stood up. It hurt when I sat down." When the pain didn't go away, he was prescribed physical therapy and placed on temporary disability. If Coffell had been hurt a few months earlier, workers' comp would have provided close to his take-home pay. But under the new law that took effect in early 2014, his disability check was capped at $561 a week — just above the poverty line for a family of five. A high summer electricity bill and some unexpected fees from the credit union had already put the family behind. With less money coming in, things slid downhill quickly. The utilities went first, followed by Coffell's truck, which was repossessed. Then the family received a letter from its landlord evicting the Coffells from their rental home. Because none of the Coffells' relatives had room for them all, the family had to split up. Coffell's wife, Justine, helped look after him. They alternated between his grandmother's small home and her father's camper. The kids, ages 5, 7 and 9, moved in with John's mother 40 miles away. John and Justine had only enough gas money to see them on weekends. "I'm one of those families, we lived paycheck to paycheck," John said. "I didn't have all the bills caught up, but I had plans to get them caught up with being able to work and get overtime. My dominoes were stacked and they got knocked over — all for getting hurt." Since John went on workers' comp, the Coffells have had to fill the gap by filing for food stamps. Such cost-shifting has become common. Dozens of injured workers said in interviews they've been forced to seek help from government programs because workers' comp fell short. A study by J. Paul Leigh, a health economist at the University of California, Davis, found that workers' comp covered less than a third of injured workers' medical costs and lost earnings in 2007 and that government programs like Social Security, Medicare and Medicaid had shelled out about $30 billion to fill part of the gap. The rest came from regular health and disability insurance or out of workers' pockets, Leigh said. "We're talking about taxpayers picking up the bill of something that should have been paid for by workers' compensation insurers," Leigh said. Bingman, the Oklahoma state senator who sponsored the 2013 workers' comp cutbacks, said he couldn't speak to the particulars of Coffell's plight and wasn't aware of similar complaints from other injured workers. But if such hardships were "a pattern," Bingman said, it would be "something we need to look at." Coffell, like most workers, had no idea his benefits were shrinking until he got hurt. Two days after Labor Day, Goodyear sent Coffell to see an occupational medicine specialist in Oklahoma City for an exam that would determine his future. Whether Coffell had pulled a muscle or herniated a disk in his spine was critical. Under a 2005 reform, Oklahoma workers with soft-tissue injuries, like muscle strains, were limited to eight weeks of benefits. And Coffell's eight weeks were about to run out. "I don't really understand how they expect someone to live in this much pain," Justine Coffell said after her husband limped into the doctor's office. "He falls when he stands up sometimes. His leg just gives out." An hour later, John gingerly walked back to where Justine was sitting. "You want to tie my shoes for me?" he asked. The next week, Coffell got the medical report. The results were mixed: The doctor agreed that he had injured his spine at work and would need further treatment, which would be covered by workers' comp. But he was not "temporarily totally disabled," the doctor said, meaning his disability checks would stop and — pain or no pain — he would have to go back to work. A few weeks later, Coffell fell returning home after 12 hours on his light-duty job at Goodyear and ended up in the emergency room. Soon after, he was finally approved for surgery to shave down a bulging disk. He now waits to see if that will allow him to return to work and to begin putting his family's life back together. But neither he nor his family can forget the way the workers' safety net allowed them to plunge to the ground. "It's just like someone is sitting here shaking a snow globe," Justine Coffell said. "As soon as the dust settles, we get hit twice as hard." On top of reducing benefits or capping the time injured workers can receive them, states have found another way to cut workers' comp costs: shifting control over medical decisions from workers and their doctors to employers and their insurers. Thanks to a 2011 reform in Montana, for example, once insurers accept claims, they can choose workers' doctors and change them at any time. In 2013, Georgia ended the promise of lifetime medical care for workers' injuries, capping it at eight years for all but the worst cases. As a result, workers who have had hips or knees replaced because of workplace accidents may be out of luck when the devices wear out. Other states, like Illinois and Delaware, have enacted more subtle changes, such as placing strict caps on payments to doctors and hospitals through medical fee schedules. The measures help control costs, but, critics say, they also cause some doctors to stop taking workers' comp patients. As Dennis Whedbee found out, North Dakota — like California and Texas — has increased its use of outside medical reviewers who can deny recommended treatments or rule that injuries aren't work-related after only brief exams or by merely reading medical records. After the oil field explosion, Whedbee was flown by helicopter to a hospital in Bismarck and eventually sent home to Homer City, Pa. He and his wife, Dori, struggled to come to terms with what had happened and waited anxiously to hear how North Dakota's workers' comp system would help them. They would drive down the road to cry because they didn't want their grandchildren, who were living with them, to see their tears. Whedbee's surgeon in North Dakota referred him to Marshall Balk, an orthopedic surgeon in the Pittsburgh area. Balk recommended that Whedbee be fitted with a myoelectric prosthesis, which has a realistic hand with movable fingers that are controlled by the muscles in the remaining part of the arm. Balk noted that such a prosthesis would be ideal for Whedbee because he still had the muscles in his upper forearm and led an active life, according to court documents. Rather than accept the doctor's recommendation, North Dakota's Workforce Safety & Insurance agency, or WSI — the government entity that is the state's sole workers' comp insurer — flew Whedbee to Minneapolis to see Ronald Bateman, a medical examiner, for a second opinion. A myoelectric prosthesis is "very fragile and expensive to repair," Bateman said in his report, and could also strain Whedbee's still-healing shoulder. Instead, he recommended a prosthesis with a split hook. But Bateman failed to note that the split hook, which is only a few ounces lighter, opens and closes by moving the shoulder. Also not mentioned in the report was this salient fact: The hook costs $50,000 less than the myoelectric prosthesis, which, according to the state, runs about $70,000. In appealing the agency's denial, Whedbee listed 12 reasons why the split-hook prosthesis wouldn't work for him. Among them: "I can't pick up grand baby." "Try cutting up meat or veggies with one hand." "Is a hook going to help me tie my own shoes again?" "I deserve as normal [a] life as I had before the accident," he wrote. The agency denied his appeal, even though insurers in states like Georgia and Alabama, which have some of the lowest benefits in the country, routinely provide myoelectric prostheses, according to workers and attorneys there. Unbeknownst to Whedbee, North Dakota has since the early 1990s steadily made it harder for workers to get benefits for their injuries. A company recently hired by the state auditor to review the system found that when disputes occur, WSI relied entirely on out-of-state physicians mostly working for private companies that perform medical reviews for insurers. These doctors reversed the recommendations of workers' physicians 75 percent of the time, the September report by Sedgwick Claims Management Services found. WSI's own medical director, Luis Vilella, questioned the impartiality of medical decisions in a letter to WSI's top administrator last year, saying the agency's lawyers overrode valid medical opinions and diagnoses to beat back the appeals of injured workers. In an interview, WSI Director Bryan Klipfel said there was "really no merit" to Vilella's concerns. The agency uses outside medical exams in only a small number of cases, he said, and goes out of state because it has had trouble finding doctors in North Dakota willing to do them. The agency's surveys show injured workers are satisfied with the care they receive, Klipfel said. Worker advocates say such explanations fail to acknowledge that most claims involve simple strains or stitched wounds, which aren't controversial. The most severe — and expensive — injuries are often the ones that end up in dispute. The system "isn't only designed for the short-term, easily diagnosed diseases and injuries; it's supposed to be for all of them," said Emily Spieler, a Northeastern University law professor and former head of the West Virginia workers' comp system. Klipfel defended the agency's handling of Whedbee's case, saying, "We felt we made the right decision." Whedbee's employer, Black Hawk Energy Services, hired him back as a safety technician as his case worked its way through the courts. Workers can appeal WSI denials, but the Legislature has greatly restricted the courts' ability to overrule them. And in 2013, lawmakers amended the law to specify that no deference should be given to a worker's treating doctor. In March 2014, Whedbee's attorney, Stephen Little, told the North Dakota Supreme Court that WSI was looking for the cheapest solution. Whedbee was more than a "wage slave," he wrote in his brief. He was also "a Little League coach, hunter, fisherman, bicyclist, outdoorsman, taxidermist and cook." A WSI lawyer responded that the agency had considered Whedbee's life outside his job. But the agency also needed to consider cost, he said. Whedbee has applied for a number of jobs in the oil industry since being laid off just before Christmas 2013. But he says companies lose interest when they learn he's missing an arm. Now 53, with sun-weathered skin and a brownish-gray goatee, Whedbee has refused to get the split-hook prosthesis. Instead, he got a tattoo of a severed, bloody hand on the end of his arm with the words: "Lost 9-23-12." Meanwhile, WSI's hard line has helped make it, and the state's employers, very flush. The agency can invest the surplus when insurance premiums exceed the amount needed to cover injuries. After reserves are met and if investments do well, money is then returned to employers in the form of dividends. Since 2005, WSI has paid about $900 million back to employers. The dividends given out in 2013 alone, a ProPublica analysis of federal injury data shows, could have paid for myoelectric prostheses for every U.S. worker who has lost an arm or hand on the job since 2001. Unlike Whedbee, Joel Ramirez, a 48-year-old paraplegic in California, never even got to see the doctor who took away his medical care. Last June — without examining Ramirez or even sending someone to assess his daily struggles — his former employer's insurance company terminated the home health aide he relied on. Such cases underscore the consequences as states seek to streamline disputes and take more control of medical costs. But along the way, such provisions have tilted systems in favor of employers and stripped away fundamental protections that guaranteed workers the right to be examined by doctors and heard by judges. A 2012 California law, supported by both business and labor, was intended to solve problems with an earlier reform that had left workers waiting months to see impartial doctors and months more for administrative hearings. Under the new process, disputes are decided by independent medical reviewers chosen by a state contractor. These doctors, many of whom are licensed out of state, rely solely on medical records and remain anonymous. Their decisions can't be overturned except in limited cases. Lawmakers also added a surprising twist: The medical dispute process wouldn't just apply to new cases, but retroactively. Suddenly every treatment request in the system — whether it be for surgery or a simple prescription refill — could now be subject to reviews by insurance company doctors and compared against more rigid medical treatment guidelines that might not have been in place when care was approved. When the law took effect for old cases in July 2013, it quickly proved as problematic as the one it replaced — and insurance premiums went up. A process that was supposed to take less than six weeks has often stretched to six months. And reviewers routinely rule against injured workers' doctors, denying treatment in 91 percent of disputes, according to preliminary data to be released this month by the California Workers' Compensation Institute, an insurance research group. That's more than twice the denial rate for patients under regular group health plans, according to the California Applicants' Attorneys Association, which represents workers' lawyers. Christine Baker, the state official who oversees workers' comp in California, said the number of claims that reach medical review is very low and the reform has provided an important check on costs. Most of the denials, she added, represent "inappropriate care," such as overprescribing addictive painkillers. The reform is "speeding up the decision-making process," Baker said, noting that the initial backlog is now under control. "Workers are getting their treatment and a decision made about that treatment much quicker." But in some instances, records and interviews show, injured workers have been denied treatment simply because the reviewer didn't have the right medical records. Some of the harshest criticism of the new system is coming from a surprising source: the judges who hear workers' appeals. "The only interest that's being protected here is industry," said Judge John C. Gutierrez, a workers' comp jurist for 22 years, in an interview a few hours after his retirement party in January. "I feel that their financial influence has had an impact on how this legislation came out." Workers, he said, "are losing their voice." In Ramirez's case, Travelers Insurance relied on the opinion of a doctor with no background treating spinal cord injuries who later withdrew his opinion and said he didn't know he was denying 24-hour home health care. Ramirez had worked for 17 years at Kuehne + Nagel, the second-largest freight forwarder in the world, climbing his way up from temp worker to warehouse supervisor. One day in July 2009, his boss asked him to move a crate. Ramirez pulled it out with a piece of equipment called a pallet jack. But as he turned his back to operate the jack, he heard a whooshing sound. A nearly 900-pound crate loaded with boxes full of satellite dish mounting poles came crashing down on him. The crate, which OSHA said had been unsafely stacked, folded Ramirez's body in half, crushing his spinal column and pinning his head between his feet. "I started howling and yelling in Spanish and English," he said. As blood poured from his mouth, he managed to tell his co-workers he couldn't feel his legs anymore. Travelers, the company's workers' comp carrier, began providing Ramirez with 24-hour home health care. In August 2012, a judge ruled him permanently and totally disabled and awarded him coverage for future medical care. The system appeared to be working. But a month later, the governor signed the new law, making old cases like Ramirez's subject to the new review process. According to medical and court records, in early 2014, Ramirez's physician submitted an unrelated request for additional care. Travelers sought a second opinion and then used what appeared to be only a slight modification to reassess the entirety of Ramirez's home care plan. The decision to take away his support and leave him without a way to care for himself, Ramirez said, made him "feel like less than nothing." Without his aide, the indignities for Ramirez began almost immediately. Unable to sense his bodily functions, he has at times been left soaking in his own urine or feces, waiting for his wife or children to come home from work, school or a trip to the pharmacy. He fell several times trying to transfer from his wheelchair to the couch, lying helplessly as his wife and daughter struggled to pick him up. His wife had to give up her job cleaning houses to care for him. His daughter quit college and works at a casino to help out financially. In emailed responses, Travelers officials said they "sympathize" with Ramirez and his family and that the case was "unfortunate and complicated." But they insist Travelers did not use the new law to withdraw the aide, and only did so after a routine review of his care. A judge, however, said otherwise and ordered the company to restore the aide. Told of Ramirez's situation, Baker said it was "terrible" and not how the system was intended to work. The state workers' comp division is planning to update the home health care guideline after determining from a number of similar cases that it was too narrow and "does not meet what we want to have in California," said Rupali Das, the division's medical director. On a recent afternoon, Ramirez lay on his couch in Rialto, Calif., after a long day traveling to doctors' appointments. Covering the wall were collage frames full of family photos — Ramirez holding an American flag the day he became a citizen, his daughter in a purple gown celebrating her quinceañera, and him and his wife dressed up when they used to spend the weekends dancing to Mexican and country music. "We were really good at dancing together," he said. "Since my accident, I try to forget about music because I just get sad." He breathed in and exhaled deeply. In late October, Ramirez got some good news. Travelers reinstated his home health aide under orders from the state workers' compensation Appeals Board. But Ramirez now feels doubly vulnerable, knowing how easily his critical support could be taken away. Lying awake at night, Ramirez wonders what will happen when he gets older, when he and his wife have even less strength, when his kids have families of their own. 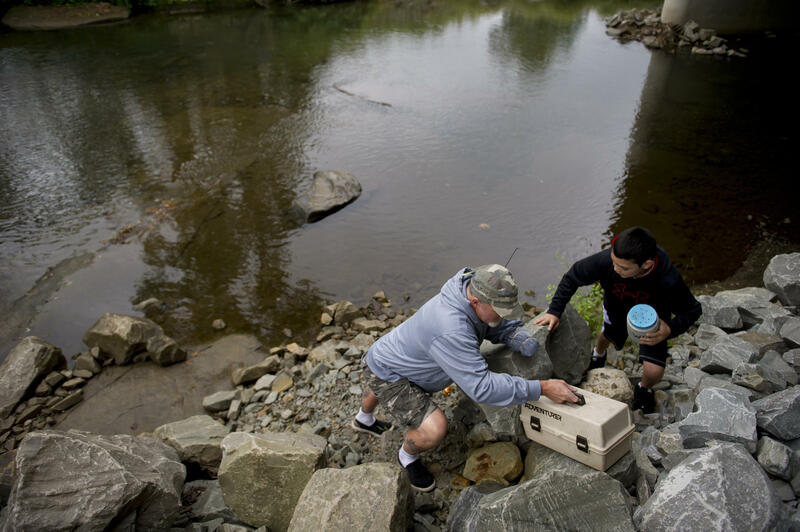 "Those moments, they make you think it's better to die before that happens," he said. "I don't want to live like that." Let's imagine you're on the job and you suffer a serious injury. Your expectation is that workers' compensation is going to serve as your safety net. It's supposed to cover your medical care and ensure that you don't face a financial downfall while you're out of work. Now, in exchange for that, employers are protected from lawsuits for workplace accidents. But now an investigation from ProPublica and NPR has found that benefits have changed drastically in dozens of states over the last decade. In some places, medical care is more difficult to get and payments are shrinking so much some workers are losing their homes. This reporting comes from NPR's Howard Berkes and ProPublica's Michael Grabell. They're both on the line with us. Gentlemen, good morning. HOWARD BERKES, BYLINE: Good morning. GREENE: Michael, let me start with you. I know reporting on the story has consumed much of the past year for you. Summarize some of the findings, if you can. GRABELL: Well, the main finding is that we found that since 2003, more than 30 states have passed laws that either reduce benefits, created hurdles to getting medical care or simply made it harder for workers to qualify. And one of the thing that's really interesting is that there's no federal minimum standards, so where you get hurt really matters. Imagine if you lost your eye on the job. In Alabama, the most you can get is $27,000. Same thing happen to you in Pennsylvania, the most you can get is $261,000. GREENE: A difference that big just based on geography, where you live? BERKES: Right and that's just the beginning of it. We'll hear later this week from a worker in Alabama whose maximum lifetime benefit for the loss of his arm is $48,000, but just across the border in Georgia, a worker with a nearly identical imputation could get almost 700,000 more over the course of his lifetime. GREENE: It does feel like we're getting sort of a different picture of workers' compensation hearing things like this. GRABELL: You know, everyone thinks that workers' comp is so expensive, but, in fact, we looked at the numbers and we found that employers are actually paying the lowest cost for workers' compensation insurance since the 1970s. And insurers are doing fairly well too. In 2013, they had an 18 percent profit - their best year since the 1990s. GREENE: OK. So workers struggling to get medical care and get these benefits if they're injured, but yet the insurance industry making more money and businesses paying less. What's happening here? GRABELL: You know, one thing that's happening is that employers and insurers are actually getting more control over medical decisions such as whether an injured worker needs surgery or not. More and more disputes are being heard by outside medical examiners. These are doctors who sometimes see a patient for a brief exam or are merely reviewing medical records, and they have the ability to go against what the worker's own doctor says and simply say the injury is not work-related. California's a great example of this. Their independent medical reviewers have been denying the recommendations of the workers' doctors 91 percent of the time. GREENE: And, Howard, not just California, but you and Michael have been in a lot of states watching this sort of control shift in a way towards businesses. I mean, is there a theme that you're seeing nationwide? BERKES: Well, what we found when we went around the country is that these changes are being driven by, first, the rising cost of medical care in general, which we all know about. But some workers' comp systems tend to be bogged down by litigation that adds to the cost, it delays treatment for workers. There's the workers' comp insurance premiums. Michael mentioned the premiums are generally lower than they've been in the last 40 years, but the recessions of the last 15 years have states locked in very fierce competition for jobs. Here's what we heard in Oklahoma from Fred Morgan of the state chamber of commerce. He was comparing workers' comp costs with neighboring states. FRED MORGAN: We were extraordinarily higher than Arkansas. This is a state that's right next door. You know, what's the answer to that? Well, obviously our benefits are not competitive in the marketplace, so we made some adjustments. GREENE: OK. So states, you know, in tough financial times see an opportunity here to be more competitive. How exactly does that affect injured workers then? BERKES: Well, it can quickly disrupt their lives. We met in Oklahoma John Coffell, a 30-year-old worker in a tire plant. He suffered a severe back injury last year. Under the newly reduced payments in Oklahoma, he went from about a $1,000 a week with overtime to less than $600 a week. JOHN COFFELL: Right away it got to the point where, which utilities were we going to let go first? We let our gas go 'cause it was the middle of the summertime. After that was the water, and as soon as we lost water is whenever we sent our kids down to live with my mother. After that, it was electricity, and then we just had to let the house go. GREENE: Well, Michael, I mean, if workers like John Coffell, who we just heard from, are not getting what they need from workers' comp, are there other options for people like him out there? GRABELL: Yeah, to some extent taxpayers are having to pick up the cost. We spoke to a number of workers, like John, who say they've been forced to rely on food stamps or apply for Social Security disability when workers' comp fell short. Now, this isn't all due to recent cutbacks, but there have been a number of studies that say government programs are picking up about $30 billion in medical costs and lost wages for occupational injuries and illnesses that are not covered by workers' comp. And so there's a degree of cost-shifting going on where taxpayers are having to foot the bill for things that were supposed to be paid for by workers' comp insurance. GREENE: All right, guys, I know I'll be hearing much more of your reporting in the coming days and months. That's Michael Grabell of ProPublica and also NPR's Howard Berkes. Thanks very much. Transcript provided by NPR, Copyright NPR.